Crime does pay. It just has a different monetary system. 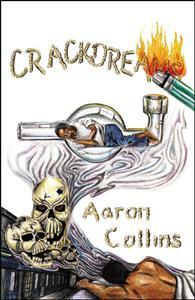 Author Aaron Collins’ message is raw and pure, but it isn’t just a message. Offering stark authenticity, “Crack Dreams” bears its own relevance and need for equally genuine scrutiny. Drug use, addiction, grand theft, assaults, and sexual promiscuity are rampant across the country. Not everyone writes a book about their transgressions, nor should they.